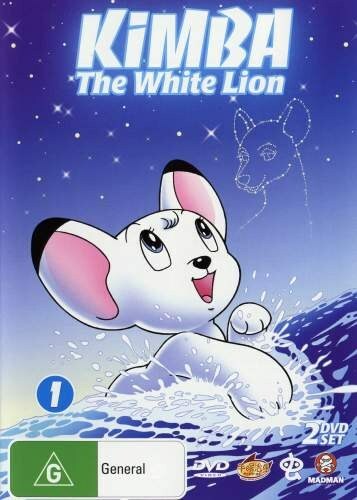 Based on the manga Jungle Tatei, Kimba the White Lion is the creation of Osamu Tezuka. Kimba is a zoo lion who gets back to Africa to take on the role of the King of the Jungle. Things are made confusing for the young lion in his new role as he has primarily interacted with humans and can speak their language. The idea of survival of the fittest is lost on him and the creatures of the jungle don’t take well at first to his order that they all become vegetarian and learn how to farm and co exist. The animation on the series is fairly dated and simplistic. Considering the age of the film the transfer is mild however there are some times that the image does glitch a bit. Possibly better suited to the very young or the nostalgic, Kimba may not touch the right spot in most viewers. I would suggest that viewers take the time to enjoy this animation and be a bit forgiving for any inconsistencies that they see. The stories are well suited to younger children with the focus on morals and getting along together as seen through the eyes of a young white lion who is king. The soundtrack to this series is fantastic and certainly a highlight of the feature in terms of bringing the whole story to life.